"IF YOU GET PAID COMMISSIONS -- YOU NEED THIS BOOK." 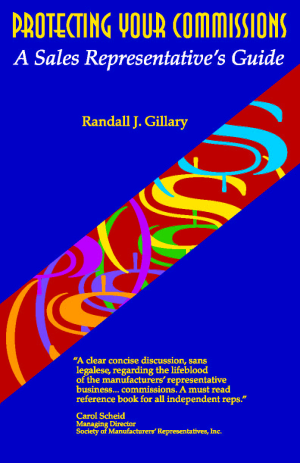 Sales commission legal expert, Randall J. Gillary, provides practical advice for all commissioned sales people on how to get paid the commissions they have earned. 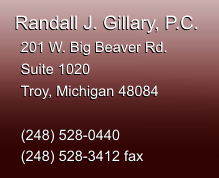 Gillary uses his 32 years of experience to help sales people at all stages of their relationship with their employers or principals, from negotiation of a sales representation agreement through litigating a commission claim. This is a must read for all commissioned sales people. Please click here to read the reviews. Purchase a copy of Protecting Your Commissions: A Sales Representative's Guide for only $14.95 + S&H.